An original colonnade with bookcases and built-in benches was intact, but so filthy it had to be cleaned with a combination of steel wool, Butcher’s wax, and elbow grease. 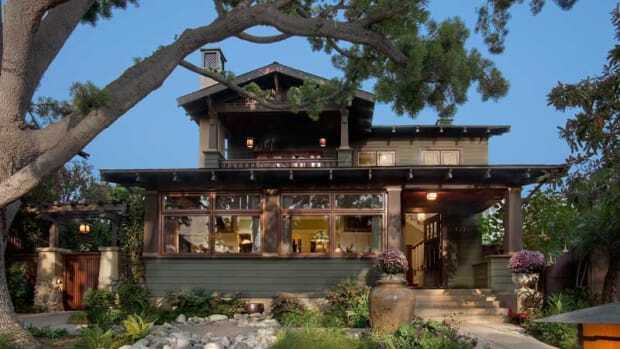 Those surviving bungalow and Craftsman built-ins are economical with space and functional in design. 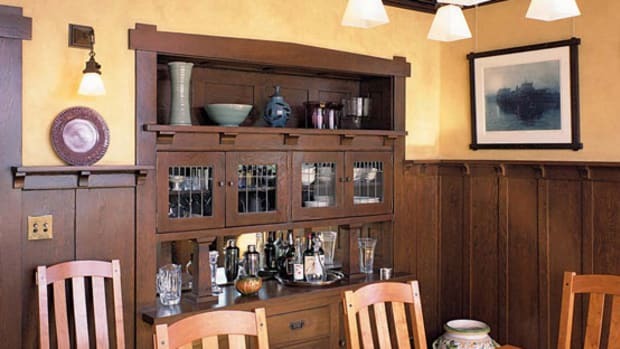 A buffet recessed into a dining-room wall eliminates the need for a butler’s pantry. A bench tucked against a staircase creates a place for rest or dropping a package in a narrow space. Bookcases make excellent use of the dead space on either side of a chimneybreast. Stacked drawers convert voids in knee walls into useful storage. 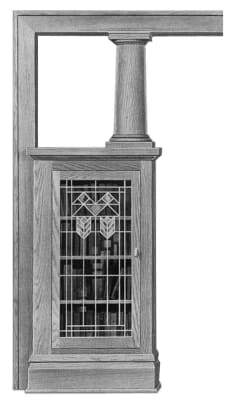 Perhaps the most elegant built-in is the colonnade, an architectural feature composed of a pedestal or partial wall—anywhere from knee to above-chest height—topped with a column or post. Colonnades typically appear as pairs in the form of room dividers, bisecting a long narrow living room and effectively turning it into two cozy, well-defined spaces within an open plan. 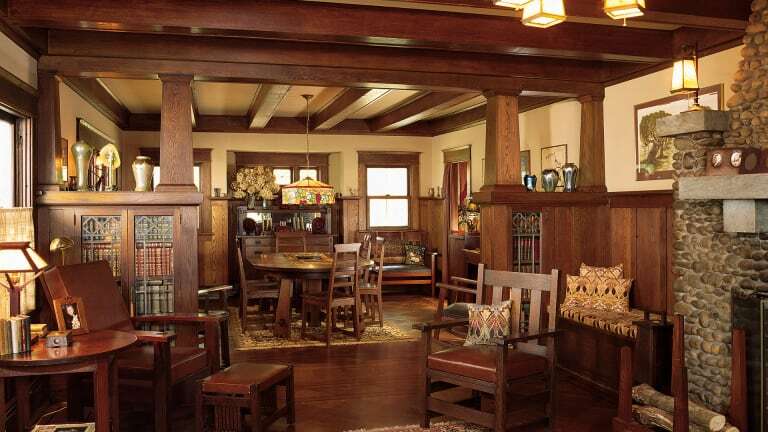 Colonnades are the built-ins most likely to be missing or damaged in an old Arts & Crafts interior. (That’s true also of breakfast nooks, which often have been converted to powder rooms, or obliterated during kitchen expansions). If there is no colonnade in a house ca. 1900–1929 where the entry door opens directly into a long, graceless living room without a proper foyer, that’s a telltale sign a colonnade may have been ripped out. Damage or patches in the wood flooring near the midpoint of a room point to the same conclusion. Even if the colonnade is long gone, look for ghosting. Areas of replaced flooring, a change of color in the trim, even depressions in finish coats of varnish on the floor may indicate the size and width of the colonnade’s base. Check overhead, too, for evidence: a flat casing that runs along the ceiling from wall to wall is usually a dead giveaway that it once headed a millwork colonnade. If there is a casing, it may be possible to spot marks that indicate the placement of the columns, and their size at the top. 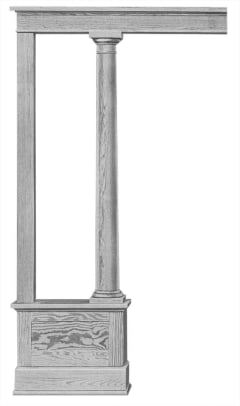 Many columns were square, so don’t assume yours were round or tapered. Similarly, remnants of a vertical casing on the wall may indicate just how high the colonnade base was: knee-wall height, or tall enough to accommodate a built-in bookcase, for example. 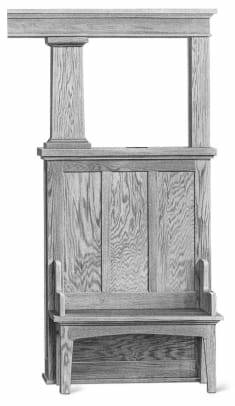 If only the pillar is missing, search the top of the pedestal (or cabinet) for ghosting; it may indicate the size of the pillar at its base. Keep in mind that you may find evidence for more than a single pillar, or one of unexpected shape. 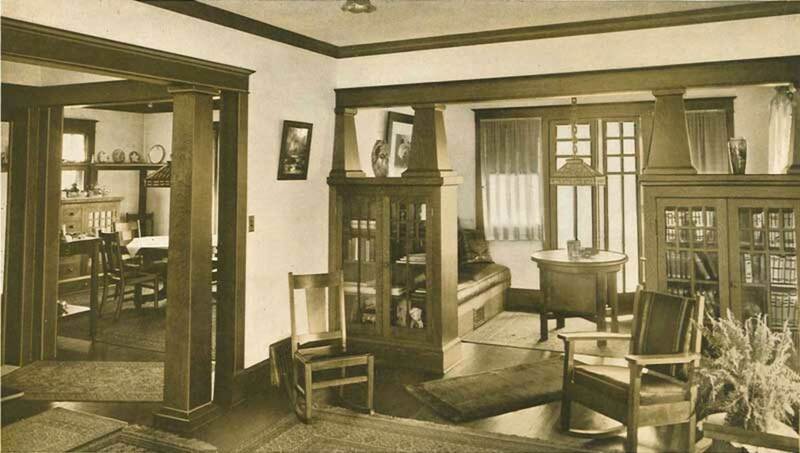 Adjoining rooms in a house pictured in The Home Beautiful, published in 1915, are fitted with bookcases. 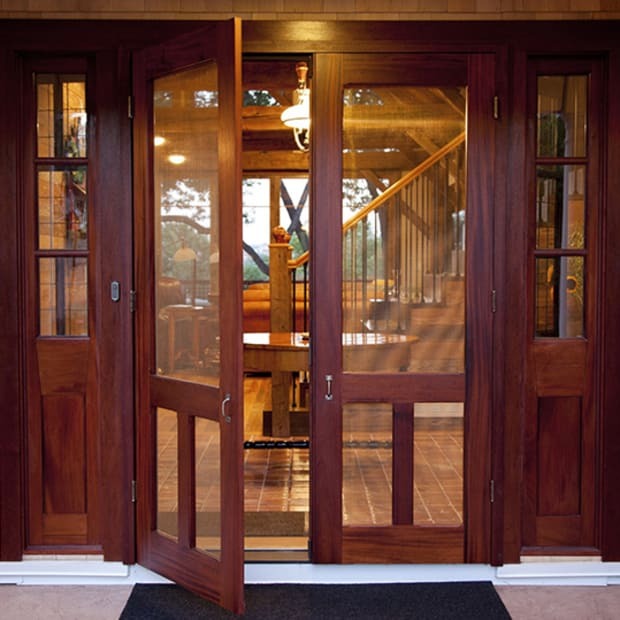 Use the same sort of sleuthing where door casings or original hardware are lost; evidence in the paint or holes in the wood help determine anything from the original trim profile to the length and scale of missing hardware. 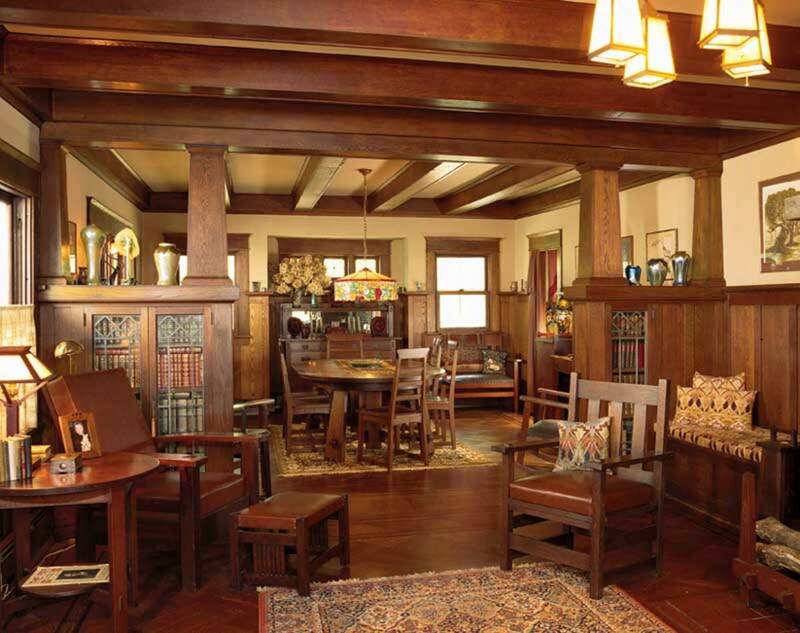 By combining evidence from a variety of marks and ghosting, it may even be possible to tell whether the base once had leaded glass doors (hardware may have been heavier than normal) or a built-in desk or bench. If you suspect there were once bookcases on either side of the fireplace, check the mantel for signs of ghosting or paint. If the bookcases are still present, but with open shelving, look for clues in the paint that hardware was once present but removed—a sure sign that the bookcases were once faced with glass doors. Similarly, searching for physical evidence may be helpful in reimagining what a damaged or painted-over built-in buffet should look like. Bear in mind that many buffets were meant to be painted. If you begin stripping the piece and find it’s built from early plywood or a less-than-attractive wood, that may be the case. 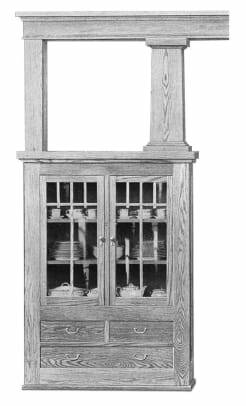 Even fancy buffets and bookcases were usually ordered from millwork shops or catalogs. If, on the other hand, you discover quarter-sawn oak or sycamore, tight-grained reddish-yellow gumwood or birch, or figured maple, you may have unlocked a treasure worthy of full restoration. Treat such a buffet like the fine piece of furniture it is, with help from a furniture restorer or restoration carpenter. If there’s major damage (missing drawers, doors, or upper cabinets) look for examples of buffets similar in scale and configuration through a Google Image search. 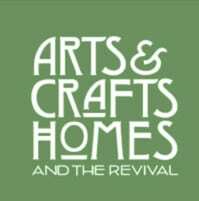 Arts & Crafts enthusiasts often post examples of buffets and other built-ins from period millwork catalogs on personal blogs or Pinterest, along with examples of restored or in-progress restorations. 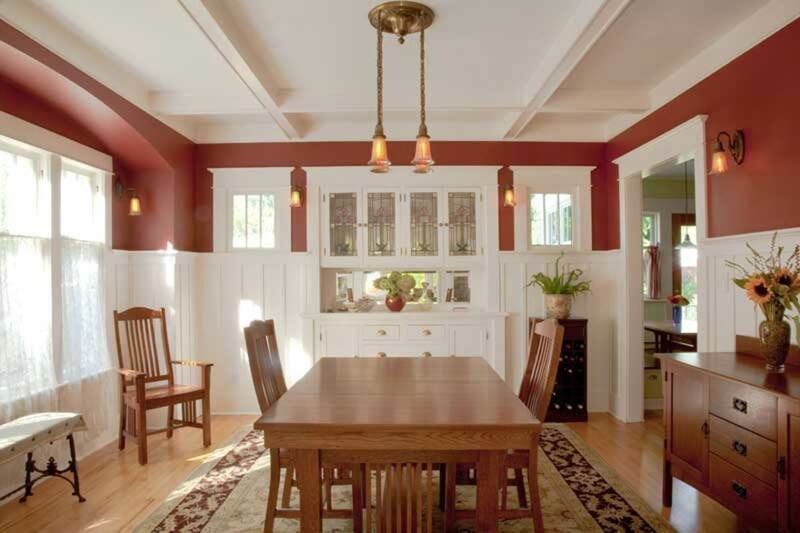 This built-in buffet was the only original element left in a room restored by the firm Tim Andersen Architect. Sticky or balky drawers in buffets, linen chests, or bedroom drawers are often the result of multiple coats of paint. To return them to smooth function, sand down the runners to remove the excess, then apply a layer of wax to increase the glide. Another alternative is to fit the runners with plastic V-channel weather stripping, like the kind sold for windows and doors. Smooth down the tracks by sanding, then install the channel on mating surfaces. For any built-in that’s missing hardware, choose period-specific replacements that match the scale and quality of the piece. The same goes for glass: choose flat or beveled glass for a buffet backsplash and leaded or art glass for cabinets and bookcases. When everything has been lost, it’s certainly OK to indulge in higher-quality fittings than the house originally enjoyed, within moderation. 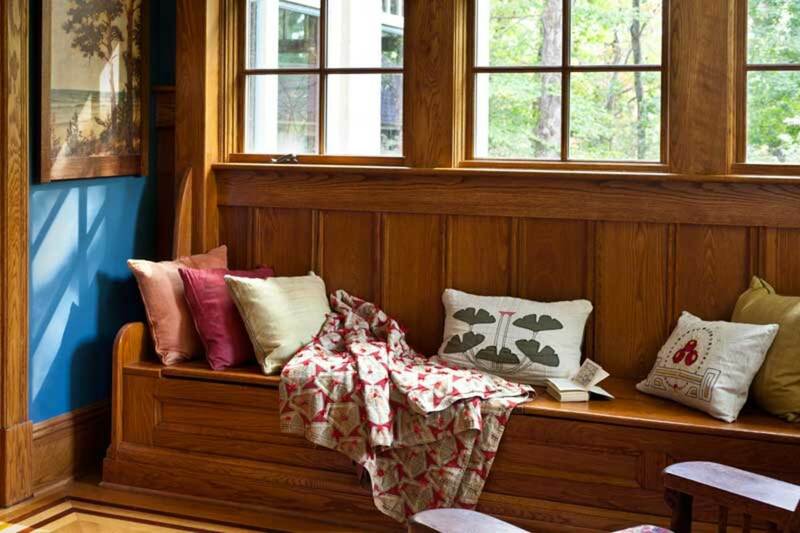 This window seat in an enclosed porch offers extra seating and storage. Blending in a repair to a built-in requires some finesse. Make the repair with wood of the same species, grain tightness, and cut. 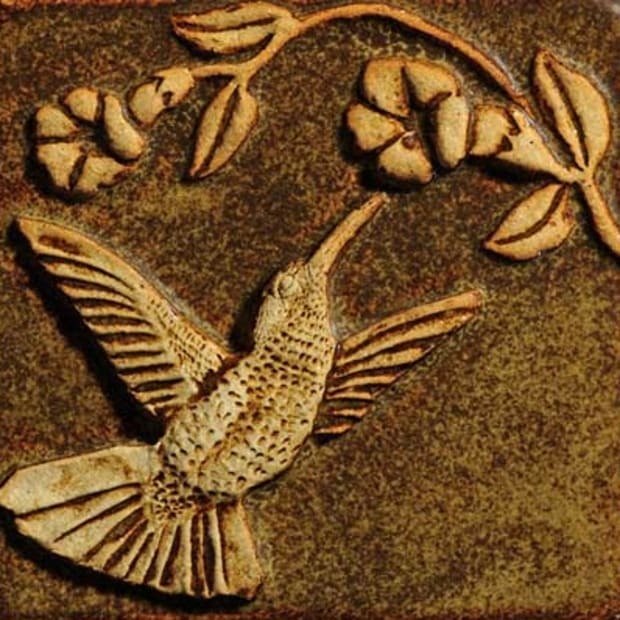 Then experiment with potential finishes. Buy small cans of three or four stain colors that most closely match the desired color and test them on a piece of scrap wood similar to your millwork. It’s unlikely you’ll get an exact match without mixing a little of one stain with another. 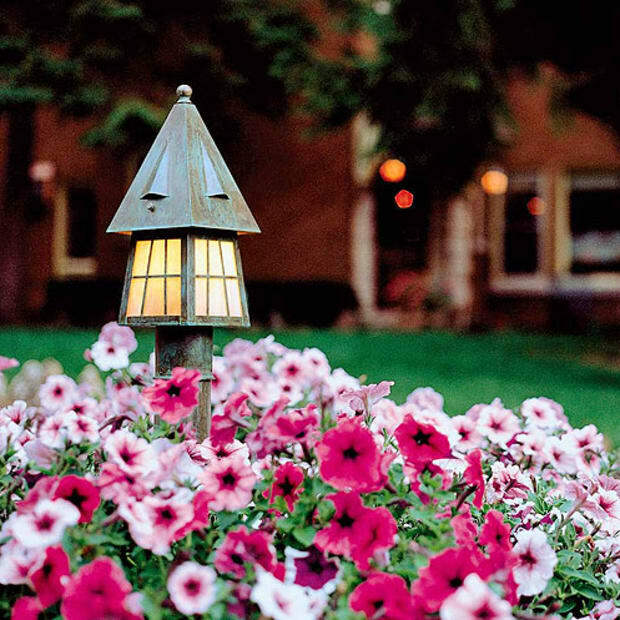 Sometimes stains that look nothing like the color you are after can add just the right tint to a blend of other stains. Keep experimenting until you get a close match. Try to match not only the color, but also the intensity (or depth) of the color. Once you’re satisfied, apply the stain and allow it to dry. In many cases, following with several coats of orange shellac will produce a warm, rich finish that approximates the look of old wood.